News from 2002 | Doris S. Michaels Literary Agency, Inc.
“An engaging debut about a family reunion that leads to a disappearance. Charlotte and Beth weren’t born to privilege, but their parents worked hard to give them every advantage, which counts for a lot in England. That’s why Charlotte found it so hard to forgive her sister for having — as she saw it — thrown away her expensive education and careful upbringing to marry a worthless carpenter who took her away from the civilized world (i.e., London’s West End) and moved her to the hinterlands of Wales. It was so hurtful, in fact, that Charlotte could not bring herself to write, call, or communicate in any way with Beth after her marriage — even though Beth continued to write. After Beth’s dreadful husband died, however, Charlotte found it in herself to forgive, and she accepted Beth’s invitation to visit her in Wales. At first the reunion was a success; Charlotte never spoke of her late brother-in-law, and her six year old daughter Lily hit it off splendidly with Beth’s eleven-year-old triplets Amy, Jude, and Samantha. Amy, blessed with a gift for storytelling, delighted Lily with a long narrative about the “Mushroom Man,” a kindly hermit who invented mushrooms as miniature umbrellas for the fairies to keep them dry in the rain. Lily was so taken with the story that she insisted that she met the Mushroom Man and began to take long solitary rambles looking for him. Charlotte’s unease at her daughter’s wild imaginings turns to outright terror when Lily disappears one morning without a trace. The police are summoned to investigate what looks like a kidnapping, but the triplets wonder whether their stories about the Mushroom Man might have somehow come true — and they round up all the children of the neighborhood to take matters into their own hands. THE MUSHROOM MAN will be published by Penguin Putnam in February of 2003. Find out how to “out-Fox” the competition with Jeffrey Fox’s latest — where he gives readers invaluable insight to becoming marketing superstars. 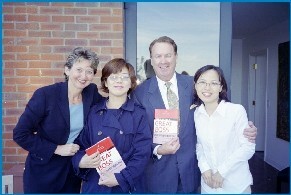 May 2003 publication date, manuscript available now. Learn from one of the world’s leading authorities on generational marketing as she explores the new way people live, work, and buy, and what the implications of those changes are. The Free Press has plans for a big marketing and promotion push for the book. February 2003 publication date, galleys available October 2002. From board games to beauty pageants, this is a smart, witty, pop-culture history of the perilous path to achieving the feminine ideal. Media attention includes reviews and endorsements in The New York Times, Glamour magazine,and Rosie magazine. Copies will be given to movie and television celebrities at the 2002 Emmy Awards party hosted by “Entertainment Tonight” and Glamour. October 2002 publication date, books available. A first novel by a 21 year old writer to watch, this novel is set on a farm in Wales and tells the story of a family plagued by cracks in their foundation, but pieced back together by the magic and whimsy of the children they adore. Six-figure preempt from Putnam, five days after submitting the manuscript. February 2003 publication date, galleys available. 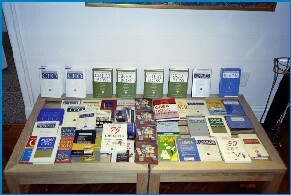 World English controlled by publisher. Lynn Peril’s PINK THINK: BECOMING A WOMAN IN MANY UNEASY LESSONS is being published on October 1st by W.W. Norton, and is already taking off with some exciting press coverage. It was included in the Fall round-up of hip books for women in the Sunday, September 1st issue of The New York Timesin their “Sunday Styles” section. We’ve also just learned that when “Entertainment Tonight” and Glamour magazine host their star studded party for the Emmy Awards on September 22nd, they will be including copies of Pink Think in their gift bags! Read this great review from Writers Write for Jeffrey Fox’s latest book titled HOW TO BECOME A GREAT BOSS. On Wednesday, May 1st, 2002, Doris Michaels hosted a book signing party for Jeffrey J. Fox at her home in New York City. 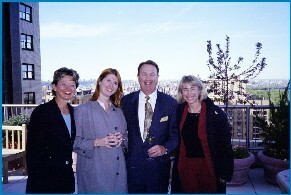 The party was held in celebration of the Hyperion publication of the fourth book in the successful Fox series titled HOW TO BECOME A GREAT BOSS. Here are just a few of the great pictures that were taken at the party. 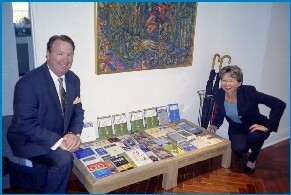 Jeffrey Fox and Doris Michaels with the Fox series of books in many different languages! 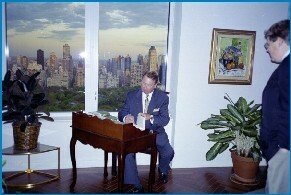 The Author Jeffrey J. Fox and a glorious view of Manhattan at sunset! 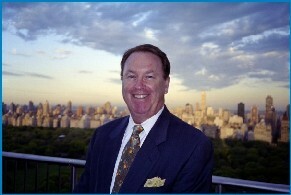 For more information about HOW TO BECOME A GREAT BOSS, by Jeffrey J. Fox, please visit the “Our Books” page of our website. 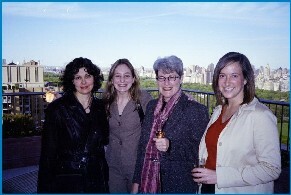 The 2002 WNBA Powerful Women in Publishing panel was rebroadcast on Saturday, April 6th on C-SPAN2. Be sure to check your local listing for future airings! For more information about the panel, please see the article below dated March 28, 2002. The Doris S. Michaels Literary Agency, Inc. is proud to announce that the Women’s National Book Association sponsored panel titled Powerful Women in Publishing (Part III): Rising to the Top was an enormous success on Tuesday, March 12th, 2002. A packed room eagerly awaited the words of Ellen Archer , Vice President and Publisher, Hyperion, Judith Curr, Executive Vice President of PB Press and Washington Square Press, Simon & Schuster, Jamie Raab , Senior Vice President and Publisher, Warner Books, and Patricia Schroeder, President and CEO of the Association of American Publishers (AAP) and former Congresswoman. The panelists discussed their climb to the top including what changes they had to make in order to achieve the success they have achieved, and what obstacles they faced during their journey. Powerful Women in Publishing was moderated by Doris Michaels (DSM Literary Agency) and Jeanette Zwart (HarperCollins). If you were not able to attend the panel on March 12th, please be sure to tune in to Book TV to see it when it airs on national television! The panel will air Sunday, March 31st at 7:20 a.m. EST. Check your local listings for alternate times. Agent Faye Bender at the Doris Michaels agency recently found a first novel manuscript in the slush pile, sent by a young (21) British graduate student in NYU’s MFA program. She snapped it up, and last week Aimee Taub at Putnam did likewise, taking it off the table with a six-figure pre-emptive bid for two books. It’s called THE MUSHROOM MAN,by Sophie Powell, is set on a farm in Wales, and tells the story of two sisters, both with young children and at odds with each other, and the agonies that ensue when one of the children disappears. Taub bought world English, and will publish about this time next year. The Doris S. Michaels Literary Agency, Inc. is thrilled to announce that the date of the next Powerful Women in Publishing Panel is Tuesday, March 12th, 2002. Powerful Women in Publishing (Part III): Rising to the Top will be hosted by the Women’s National Book Association and moderated by Doris Michaels (DSM Literary Agency) and Jeanette Zwart (HarperCollins). Due to the enormous success of Part I and Part II of this panel, many people are looking forward to attending Part III and finding out what brought this year’s panelists to the top of the publishing industry. The discussion will take place at the Time & Life Building located at 1271 Avenue of the Americas (corner of 50th Street and 6th Avenue) on the 8th floor, from 6 to 8 PM. Please check our website in the near future for the date that the panel will be aired on Book TV, if the panel is once again filmed by C-SPAN. As soon as we know, we will post the information. Faye Bender just sold journalist Liza Featherstone’s book, THIS WOMAN’S WORK: POVERTY, DISCRIMINATION, AND THE NATION’S LARGEST PRIVATE EMPLOYER, to editor Vanessa Mobley of Basic Books for a high five figure advance. The book will explore the lawsuit, Dukes vs. Wal-mart, the largest class action suit in history with over 17,000 current and former female employees suing for sexual discrimination. Liza Featherstone is a journalist who writes for publications including The Nation, The Washington Post, Newsday, and Rolling Stone.